The township of Smithton, with some 3,881 residents, is the regional centre of the Circular Head Municipality. Whether travelling for businness or pleasure you will find a great range of accommodation in this area. Bookings can be made online or by phoning 1300 138 229. The Stanley Visitor Centre is available to make your booking for you. shells and watching sea birds. The quaint little fishing village of Stanley with it’s dignified outcrop of the Nut is just a further 5 minutes away. Here you will find excellent cafés, restaurants with super fresh seafood, and charming craft and gifts shops. Rosebank Cottage Collection is conveniently situated between Smithton and Stanley close to popular surrounding attractions. Two bedroom ‘Rosebank’ offers a cosy open fire and has all the modern conveniences including flat screen TV,DVD, CD and comfy lounges. Queen bed and twin beds are of top quality and ensure a restful nights sleep. Sleeps 5. Rosebud Spa Studio features corner double spa and cosy wood heater. It is open plan allowing you to relax in the spa while watching your favourite TV show and enjoying the flames of the cosy wood heater. Rosebud is ideal for honeymoons or that romantic getaway. Botth Cottages have sunny verandas and BBQ. Rosebank Cottage Collection has expanded into the township of Smithton with Rosie’s Two bedroom cottage and Rosie’s Two bedroom Townhouse at 40 Goldie Street. The cottage has wood heating and roomy bedroom upstairs. Sleeps 5. Rosie’s Townhouse is sleek and modern with electric heating, large windows and sunny balcony. The light and roomy bathroom has a marble floor and features a rain shower. It has comfy leather lounges and quality beds and linen. Sleeps 4.
of the main hotel complex with car parking directly in front of your unit. Our accommodation is set out to take advantage of the stunning rural views that surround the property. 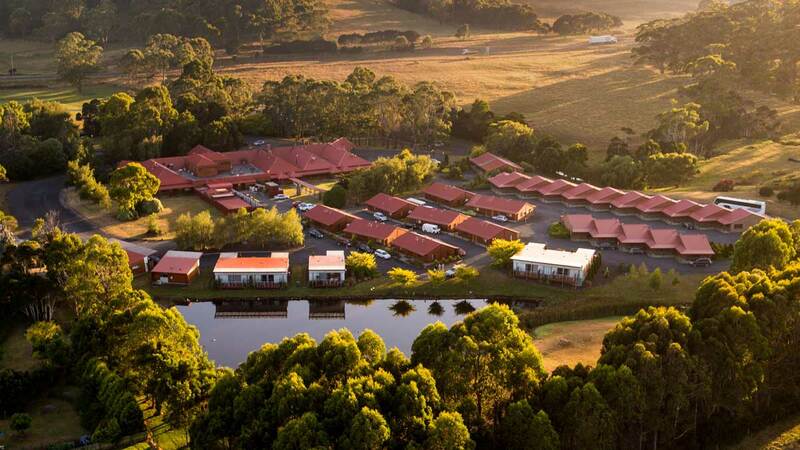 Relax and unwind, amidst the tranquillity and serenity that this hotel in Tasmania offers. Tall Timbers offers guests breakfast, lunch and dinner in the 150 seat award winning Kauri Bistro, featuring fresh local Tasmanian produce. Guests can also unwind with pre dinner drinks in the Gunn’s Lounge bar. Treat yourself to a local Tasmanian wine at the nationally branded bottle shop, or enjoy the two bars, heated indoor pool, spa, double tennis court and gym. A guest laundry is provided to cater for visitors’ requirements. Explore the diverse North West with a range of onsite adventure tours such as helicopter flights and scenic tours, Tall Timbers 4WD Adventure Tours and Tarkine forest and wilderness experiences. This Tasmanian hotel is also an ideal wedding and function venue. Visit talltimbershotel.com.au to find out more about our venue, accommodation and facilities. We are a member of the Innkeepers group of properties. 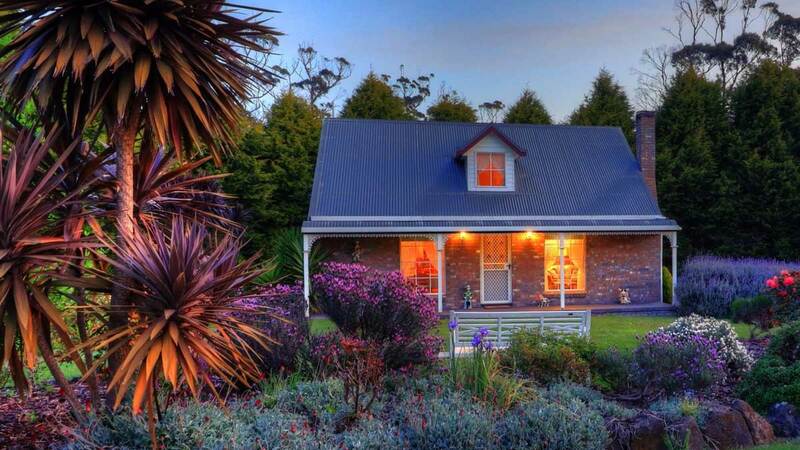 Our holiday accommodation or self contained apartments are located at Smithton, Tasmania, the gateway to visit the abundant attractions of Tasmania’s North West. Also enjoy one of the many available Adventure tours and Tarkine Forest and Wilderness experiences. Arguably one of the best positioned self contained spa cottages in the state! 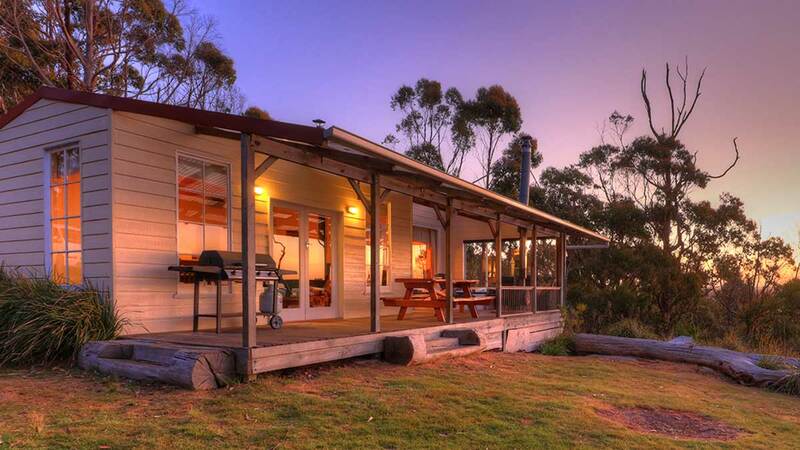 A very secluded single cottage Nestled amongst 5.5 acres of tassie bush only 150m from the waters edge. Features a huge outdoor living area facing North with commanding 180 degree views out over Duck Bay, Bass Strait, Perkins, Robbins and Three Hummock Islands. Our cosy cottage is a replica of a Federation home complete with homely log fires, polished timber floors and ceilings and it is tastefully furnished with antique furniture. 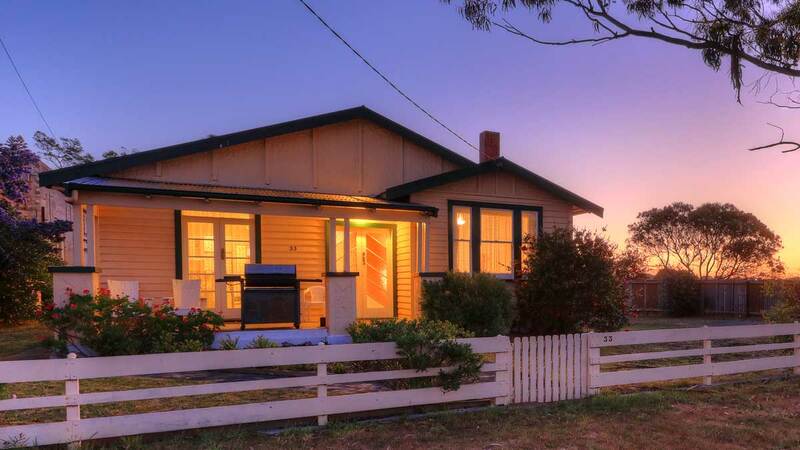 It is fully self contained complete with kitchen and laundry facilities and has two bedrooms – one with ensuite complete with a separate shower, cast iron bath and polished tassie myrtle floors. Tasmanian oak ceilings feature throughout. There are two wood fires, one in the cosy lounge room and another out through the French doors on the expansive verandah positioned facing a large oval two person spa. It is pure meditation laying back in the hammock or spa enjoying a glass of wine in front of a roaring fire at sunset with the native birds providing a natural surround sound experience that no sound system could match. The cottage has 4 beds and can sleep a maximum 5 people. air conditioning, 3 bedrooms (2 with ensuites). The third bedroom has a double & 1 x single bed, (note: even if you book only as one couple, you with have the whole house to yourselves). New granite benchtop in the kitchen, TV, DVD, barbeque, full linen & towels provided. There is a playground and very private backyard, a huge living area with french doors opening out onto a north facing sunny, sheltered verandah. Grace’s Spa Cottage has 5 beds and can sleep a maximum of 8 people.